After successfully establishing himself as a sideman with such notable bandleaders as Fletcher Henderson and Chick Webb, in 1937 bassist John Kirby turned his attention to leading his own all-star sextet at the renowned Onyx Club on 52nd Street, for a two and a half year engagement. The bands wide appeal was due in part to the tightly constructed arrangements (mostly by Charlie Shavers), which maintained a delicate balance between written and improvised sections, and in part to the broadness of the repertoire (original compositions by Charlie Shavers, jazz standards, and jazzy arrangements of classical pieces by such composers as Beethoven, Schubert, Dvorak, Tchaikovsky and Chopin). to follow, including be-bop, cool jazz and third stream. Included among the long list of jazz legends who followed John Kirbys path were Dizzy Gilespie, Thelonius Monk and Bud Powell. I found I was sitting with a constant smile as the music of the John Kirby Sextet was brought to life. 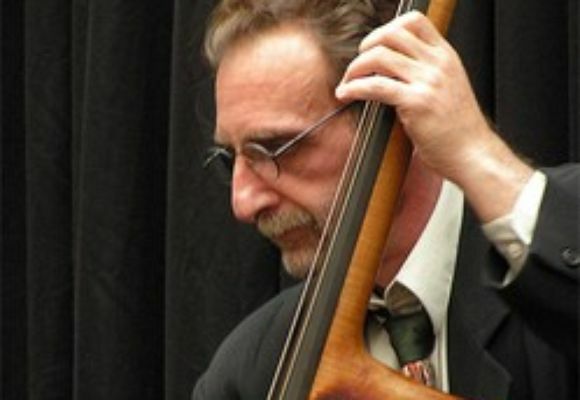 Today, the legacy of John Kirby is carried on with bassist Wayne Roberts, transcribing 55 arrangements and assembling his own roster of all-stars to create fresh and authentic interpretations of Kirby's swinging, intricate, and entertaining repertoire. The roster includes Randy Sandke, Jon-Erik Kellso, Charlie Caranicas, Dan Block, Scott Robinson, Andy Farber, Ken Peplowski, Ben Aronov, Ray Gallon, Bill Mays, Willard Dyson, Arnie Kinsella, Dennis Mackrell and Joe Ascione. The Wayne Roberts Sextet, formerly known as the Onyx Club Sextet has appeared for long-term engagements in NYC's Sardi's and the Firebird Cafe as well as concerts and private engagements. Recent performances include the Traditional Jazz Series, University of New Hampshire, Durham, NH, the IAJE Conference, NYC, Midsummer Night Swing at Lincoln Center, NYC, the Shenandoah Apple Blossom Festival, Winchester, VA (birthplace of John Kirby), Forum Tertianum, Berlin, Germany (two consecutive years), The Smith Theatre, Columbia, MD (two consecutive years), the Aldrich Museum, Ridgefield, CT, New Jersey Jazz Society's "Pee Wee Russell Memorial Stomp" (two consecutive years) and a benefit concert for the Alzheimer's Association at the Brooklyn Barge. ...quite fun and easily recommended.